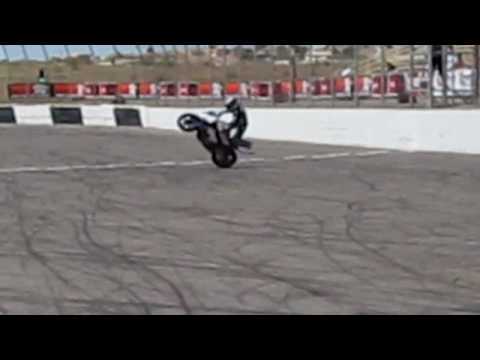 Chris Pfeiffer explains motorbike stunt tricks. Wheelie. 4 time Freestyle Biking World Champion returns to India. Considereing CP Couldn't see much of the city Djinns the last time around, you can spot him at Chandani Chowk checking out the local shopping on offer, and probably grabbing a bite at the Parathewali Gali as well. Chris Pfeiffer presenting jaw dropping stunts with his BMW F 800 R in Gurgaon on March 26, 2011 as a part of Red Bull Chris Pfeiffer India Tour 2011.